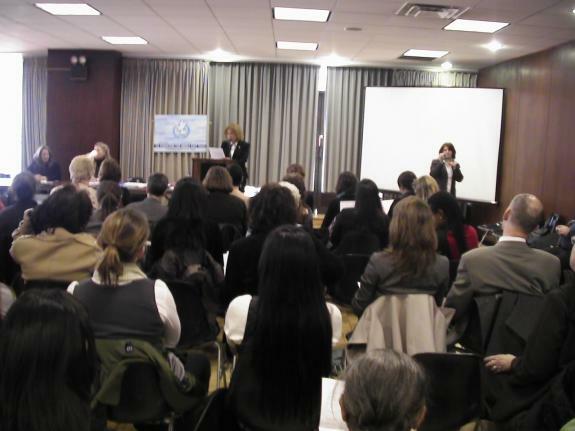 February 25, 2008 – This side event for the 52nd session of the Commission on the Status of Women (“CSW”) was moderated by UFMEP President, Mrs. Salwa Kader and focused on the media’s crucial role and responsibility in communicating information. One story can sometimes become the vessel for peace and change. How media outlets report can thus be vital in changing the lives of women for the better and in further inspiring them to strive for peace and gender equality.